It is a contract between you and the insurance company. You agree to pay the premium and the insurance company agrees to pay your losses as defined in your policy. Bodily Injury liability coverage (BI) pays for your legal responsibility to others for bodily injury in the event you are responsible for an accident. Property damage liability coverage (PD) pays for your legal responsibility to others for damage to their property, such as their car, a fence or guardrail, etc. Medical coverage (MED) pays for the cost of treating injuries, rehabilitation and funeral expenses. Uninsured/Underinsured motorist bodily injury (UM) coverage pays for your medical bills and for those of your passengers up to your policy limits if you are hurt in an accident that is not your fault and when the responsible party either does not have auto insurance or does not have enough insurance. Physical Damage coverage is optional and comes in two basic parts, collision (CO) and comprehensive coverage (CP). 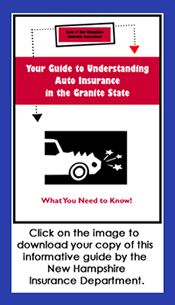 New Hampshire does not require that you purchase collision or comprehensive coverage on your auto insurance policy, but if you have a car loan, your lender may insist you carry it until your loan is paid off. Collision Coverage pays for damage to your car resulting from a collision with another car, object or as a result of flipping over. It also covers damage caused by potholes. Comprehensive Coverage reimburses you for loss due to theft or damage caused by something other than a collision with another car or object. Rental Reimbursement (R) coverage pays the cost of renting a replacement vehicle if yours is damaged by something covered by the policy and either not driveable or in the body shop being repaired. The coverage is based on a daily rate such as $25 to $40 per day and limited to the actual time of repair subject to a maximum of 30 days. Towing (T) also called road service. 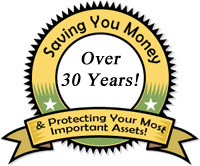 This coverage will reimburse you for the cost of either a tow or a road service call such as out of gas or jump start. Typical limits are $25, $50 or $75 per occurrence. Custom Equipment: Optional additional coverage if you have comprehensive or collision coverage and your car is customized in some way. Examples of custom equipment might be special radio equipment like DVD or CD players or amplifiers which are added aftermarket, special paint or permanent equipment like a trailer hitch.